Is Bad Reputation Dropping Your Website Traffic? If you have a blog or website, you must care for the online reputation of your website. You must have heard about the 'Web Of Trust', a popular browser extension or Google Safe browsing, Comodo Site Inspector, Yandex Safe browsing or Norton Safe web and any other tool like that. The security is also going in a social way. Take an example. 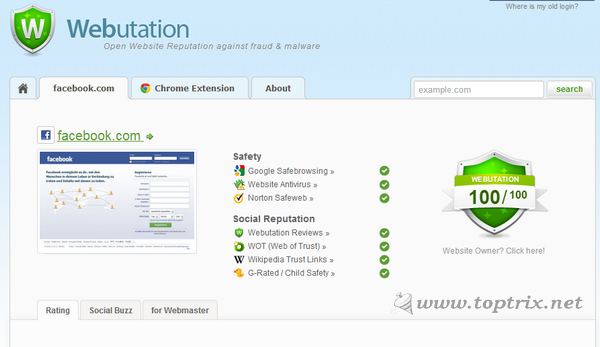 WOT is a community based website monitoring tool available as a browser extension and prevent users from visiting harmful websites. The reputation for any website is determined by the feedback submitted by the user community. These tools and services prevent users from visiting potentially harmful websites by giving 'Warnings' about the truth and most of the users follow the warning and avoid visiting such websites. If your website has also been added to the list of such harmful websites, by any of these services, you may be loosing huge traffic without your notice. If your website is dropping traffic nowadays this could be the problem and you must check in this way also. There is no any single and all in one tool to check what the visitors are getting about your website most of them are covered. Few days back, Google acquired this company and now it provides an online scanner to find bad files. You can either scan a locally stored file or you can query a web URL to find out the website reputation. It gives results from about 35 various reputations and security firms like ADMINUSLabs, AlienVault, Antiy-AVL, Avira, BitDefender, C-SIRT, CLEAN MX, Comodo Site Inspector, Dr. Web, ESET, G-Data, Google Safe Browsing, K7AntiVirus, Malc0de and may others making you quite sure about the quality of the URL you want. If you get any bad result for your own website, you can contact the corresponding service and try to get out of it. 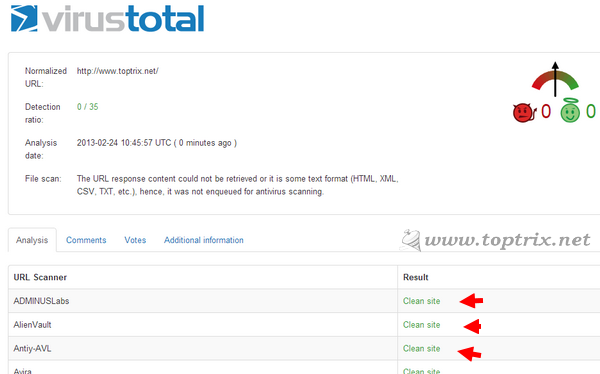 Though not as comprehensive as the Virus Total, but it scans the reputation of any given URL with Google safe browsing, Website antivirus, Norton Safe Web, WOT and a few others. You can use it as an extension for your browser as a preventive measure while you browse daily internet activity. If you do want to get more trust form the visitors of your website, you may consider to add the trust badge from some of these reputable services like WOT, Norton Safe web Secured seal or McAfee. Negative comments always spread faster than positive ones, so better to have strong management foundation for your defense.